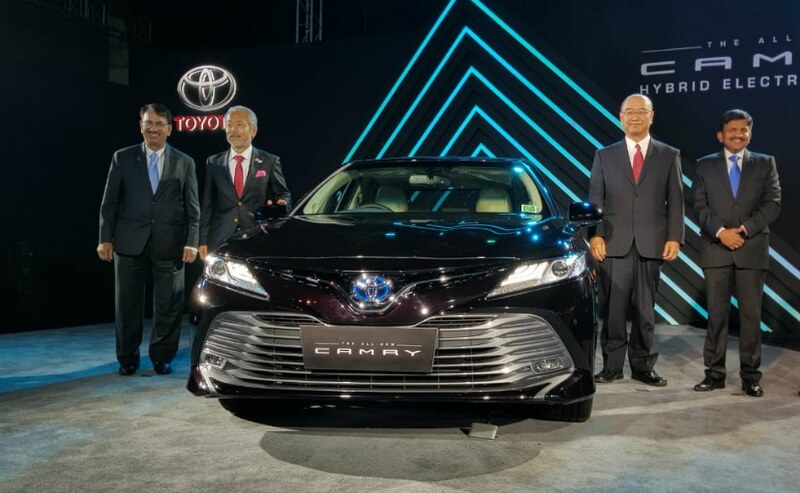 The 2019 Toyota Camry has been launched in India with prices starting at Rs. 36.95 Lakh (Ex-showroom, Delhi). The all-new Toyota Camry Hybrid has been launched in India and is priced at ₹ 36.95 Lakh (ex-showroom, Delhi). Of course, the pricing is introductory! 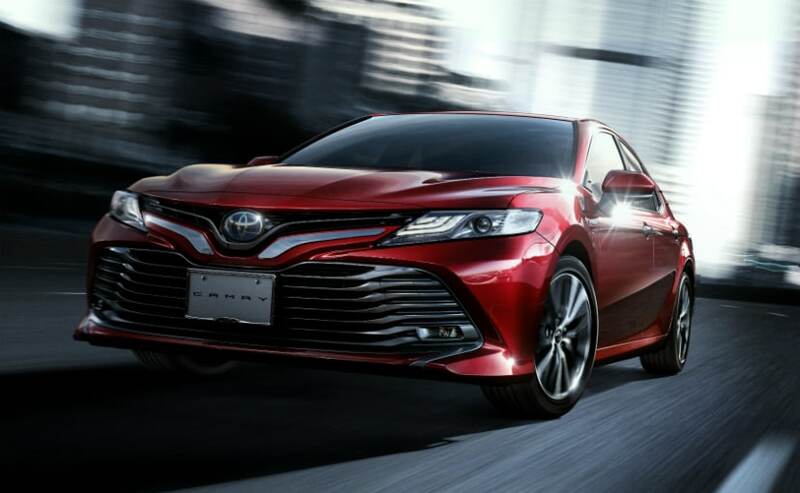 This is the new-generation Toyota Camry Hybrid Car gets a brand new design language which the company calls the 'Keen Look' design, making the car look sharper than ever before. It is built on the TNGA (Toyota New Global Architecture) platform which also happens to underpin the Lexus ES 300h along with other modern Toyota cars. We like how the new Camry Hybrid looks. The front end of the 2019 Camry Hybrid is characterised by a V-shaped element above the bumper where the Toyota Badge sits and right below is a huge air dam, making for aggressive looks. The sweptback headlamp console houses bi-beam LED projectors and three LED daytime running lamps. In the past, the old Camrys had a staid design, but the new, eighth generation Toyota Camry Hybrid is perhaps the sharpest, sexiest Camry ever! 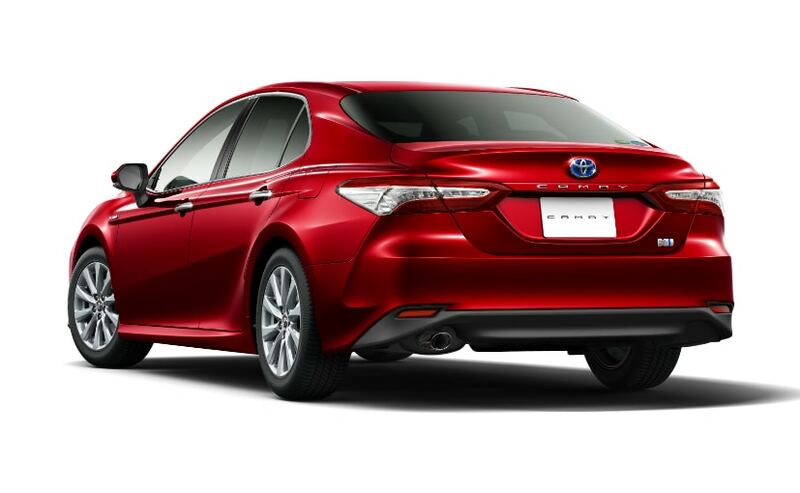 Swing your view to the rear of the new Camry Hybrid and you will see that it is as sharp as the front, with flared fenders and a raised spoiler on the boot along with sleek LED tail lamps. 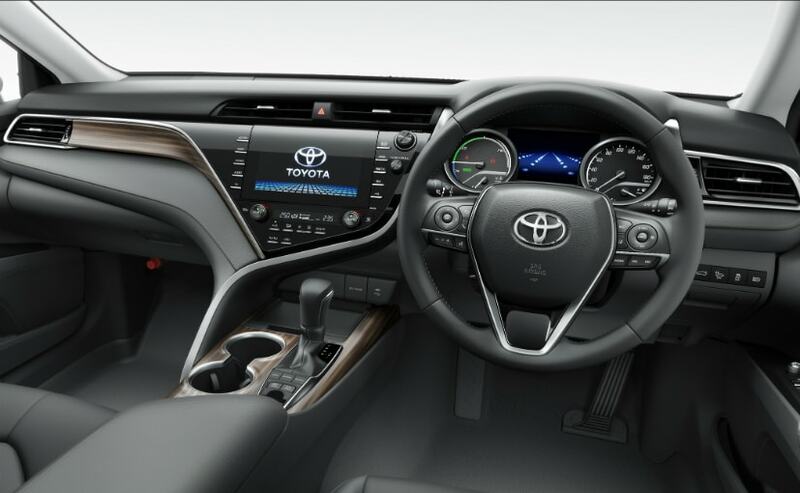 The interior of the new Toyota Camry Hybrid has been completely re-done and the dashboard has been redesigned as well. The centre-piece is the new 8-inch touchscreen infotainment system which looks classy with sleek buttons surrounding it. The steering wheel is a chunky 3-spoke unit with controls for audio, telephony and cruise control on it and behind it sits a 7-inch instrument cluster. Toyota also offers a 10-inch heads-up display (HUD) on the new Camry. In terms of safety, you have the usual trimmings which are ABS with EBD and a bunch of active and passive safety systems along with 10 airbags as standard, making the new Camry Hybrid one of the safest cars in the segment. Under the bonnet, the Camry Hybrid continues to get the same 2.5-litre petrol engine which pumps out 176 bhp at 5,700 rpm and 221 Nm at 3,600 - 5,200 rpm by itself. Adding to it is an electric motor which makes 118 bhp and 202 Nm of peak torque taking the total power output to 208 bhp and Toyota claims a fuel efficiency figure of 23.27 kmpl for the 2019 Camry Hybrid. The engine is paired to a 6-speed CVT transmission. The new Toyota Camry will be going up against its traditional rivals such as the Skoda Superb, Volkswagen Passat and the Honda Accord Hybrid.